Black Rock Beach / Boneyard Beach (Big Talbot Island) is a story about a beach that’s hard to find, a beach with two names. 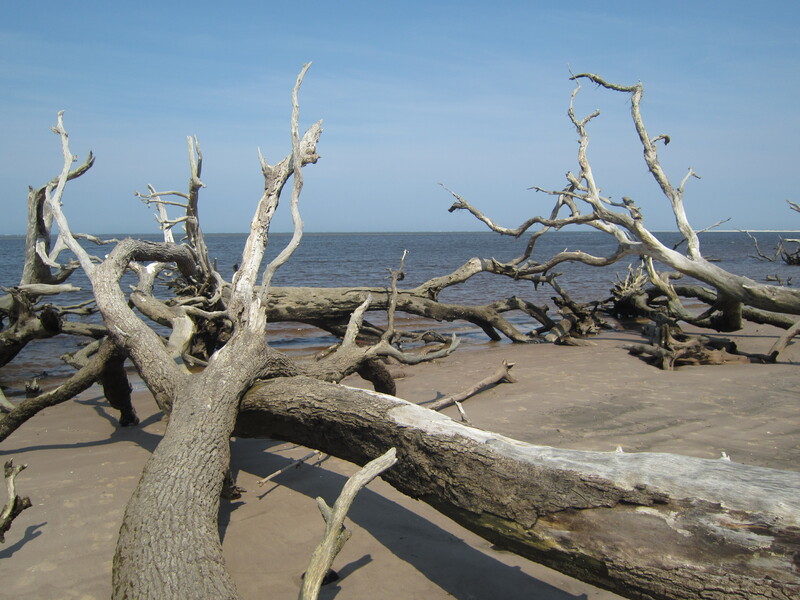 It’s called Boneyard Beach because of its great number of skeletons of eroded and fallen trees. It’s called Black Rock Beach because it’s the only beach in Florida with shelves of black sedimentary rocks that look volcanic.